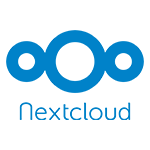 The Perfect Nextcloud Hosting Solution. When you're looking to protect and share your files, choose the ultra-reliable Nextcloud Hosting provider! That's A2 Hosting! We know how important your files, calendar and contacts are. That's why your Nextcloud install comes hosted on our fine tune services backed by our 99.9% Uptime Commitment. Use Softaculous Premium and you'll be able to setup your Nextcloud software with just 1-click! It couldn't be faster or easier. You'll automatically be notified when a new version of your software becomes available. Just log into your control panel and you'll have the newest version with the best features and most secure settings after a few clicks. Nextcloud is an easy-to-use solution. Make your experience even easier by choosing A2 Hosting and our 1-click Nextcloud setup with Softaculous Premium. Have any Nextcloud Hosting questions? Just ask our friendly and knowledgeable 24/7/365 Guru Crew Support team. They're standing by via live chat, email and phone to help! They can tell you all about our fine tuned servers and how you can even host on our Turbo solution featuring up to 20X faster page loads compared to competing Nextcloud Hosting providers. The bottom line is that you're going to absolutely love your Nextcloud Hosting experience from A2 Hosting. We're so sure of it, we offer an Anytime Money Back Guarantee. That means you can try us completely risk free. Get started now! You won't regret it! Nextcloud is a innovative file syncing and sharing solution that is redefining how organizations work and users collaborate with one another. Easily upload, access and share your important files, calendars, contacts and much more to your Nextcloud install. Nextcloud offers you the best privacy because all of your important files are hosted on a server that only you control. You are in complete control of who you share your files with and whether you share the files at all. Nextcloud is also great for home use allowing you to access your pictures and other documents regardless of your location or device.